Here is my latest Ham Radio antics where you can see how I made a home brew mounting bracket that fixes to any Vehicle Tow Bar allowing large base station antenna systems to be used. You will see on the video that I sucessfully mounted a Base Station Vertical 80M-10M HF hustler 6BTV (6 band trapped vertical). You can also see how and why I decided to try this with the Big Signals that I got on 80M, 40M, 30M and 20M all booming through the Hustler 6btv into My little Yaesu FT-100. The mount proves to be secure and quick to install, all I have to do know is try it out again when the propagation is good or perhaps a contest? 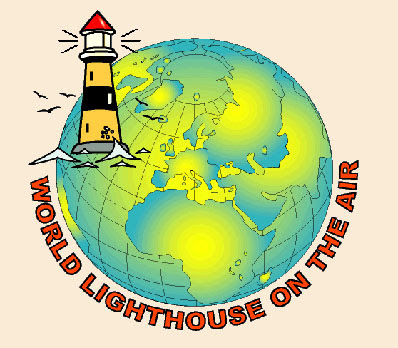 This Weekend brings International Lighthouse/Lightship Weekend (ILLW) on the Air to the Ham bands, I have been on Air and have made QSO with many Stations that have set up portable Ham stations, some with special Callsigns at various Lighthouses around the world.There are over 15000 possible Lighthouses to contact around the world so you can imagine that's an awful lot of potential contacts to make and I doubt that all of the Worlds Lighthouses/Lightships have been activated by Radio Amateurs from all over the Globe. During the afternoon of Saturday i managed 22 contacts working 14 different Countries on 3 bands which were 80M, 40M and 20M. I was happily surprised to run into Ian GM3SEC under the Call GB2LS located at Southerness Lighthouse SCO223 with his fellow Hams from Wigtownshire Amateur Radio Club SCOTLAND - U.K.
Ian GM3SEC was putting out a big signal on the ft100 He was running, this was received by my ft847 and G5RV antenna. If you have read the post on Radio and Astronomy you find info on My visit to Ians Shack in the form of a nice picture of Ian GM3SEC. It was a real pleasure to find and speak with him on 80Meters from my home QTH and I hopefully will get many more QSOs with Ian and the other Scottish Hams I have spoken with whilst been in Scotland on our holidays. I used the G5RV on 40M and 80M and the Hustler 6BTV on 20M with good reports for the 50Watts of power I was running. I feel that the many compliments on my audio quality is probably down to the Adonis AM-DX1 ceramic desk microphone I have in line with just a bit of processor set on the fT847 Earth Station. This has been a good rig working well for Me alongside My FT767GX and FT857 which I also am more than satisfied with. . I went on to working many more Lighthouse Stations on HF with some good conversation being shared and interesting information regarding the Lighthouses history. GB2LT Turnberry Lighthouse also located in Scotland and was operated by Peter who went on to tell Me that it was also the site of Robert the Bruce's Castle which had been destroyed and the site was now a lump where Peters antenna system was fixed via the Lighthouse. Some of the Lighthouse Stations had massive pile ups so some contacts were quick exchanging the relevant info required but even the busiest Stations refrained from just a boring 5/9 & 73. I always enjoy these type of activations/special events as you get to pass a few words and meet some interesting stations from all over the World. Here is LEASOWE LIGHT HOUSE Activated by GB4LL and worked on 80 Meters by myself among many other Lighthouse Stations which have been active on all bands this weekend and if you have missed todays activities there will more Lighthouse Stations throughout this Weekend. 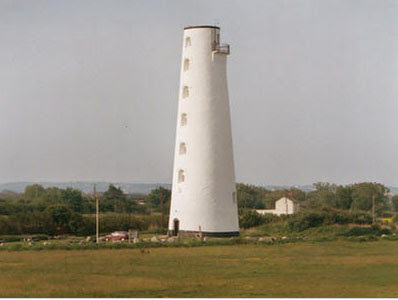 LEASOWE Lighthouse on The Wirral Peninsula 6 KM SW of the City of LIVERPOOL. The Lighthouse is the oldest brick built Lighthouse in the U.K and the first cavity wall Lighthouse in the World built in 1763 using over 1.000000 hand made bricks it stands 110FT high. As you probably know already there are many different types of Lighthouse old and new, some are in remote places on the shoreline and some are out at sea on a small rock some where. Where ever they are located you will find a friendly Radio Amateur calling CQ WLOTA, good hunting as you turn the VFO on your radio receiver! Short wave listeners can find activity around 3.600-3.800 Lower side band (LSB), 7.40-7.100 (LSB) and 14.110-14.350 Upper Side Band (USB) 73 thanks for visiting good luck with monitoring and listening. The past couple of days have been a bit on the damp side here on Baildon Moor so I have been keeping my self amused with radio and the latest NASA activities regarding the docking of Endeavor to the ISS which Ive been keeping a close eye on since lift off last Wednesday the 8th. I have done this via the NASA web site Live TV Feed From ISS, you can get to via the link on the right of this page. I recommend view in media player. As well as watching the live feed Ive been in and out looking into the Sky's at night, this was to be successful with three consecutive evenings of clear sky I was able to see the ISS and Endeavor Space Shuttle as an extremely bright Star travelling across the Horizon and night Sky. I am not so clever with the camera so practice makes perfect but I did get some shots of one of the pass byes, taken on long exposure. The top image is the best, if you click on it to enlarge and look closely you can see some resemblance of the ISS and Shuttle. This Image gives you an idea as to how bright it looks in our Sky's, when looking for the ISS I use the Heavens above web site on the right of this page to give me an accurate schedule of when a visible pass with the naked eye is possible.It is surprising how bright the ISS is and how easy it is to see with a bit of planning and dark Sky as possible away from street lamps for the easiest results. Ive been making some good QSOs on the bands with openings on 6M, 10M, and 20M allowing some nice QSOs and rag chews with a few interesting stations such as Rit N4BNM, who came through with a 5/9 +20 signal on 20m late Tuesday evening. 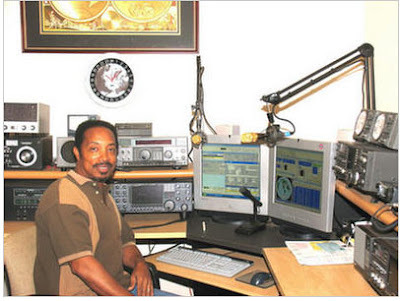 Rit N4BNM can be seen in his shack here in the picture, I am looking forward to making more QSOs with Rit in the not so distant future. Here is another Station from the U.S.A that I managed a lengthy conversation rather than a 5/9 and 73. It is AD4EB Jim, who shared similar interests with Satellites and space. 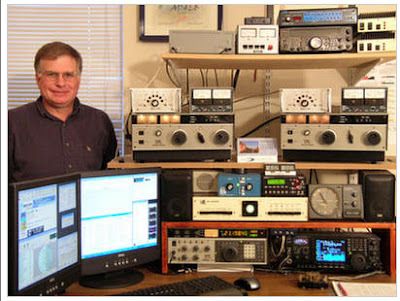 Jim AD4EB pictured below was also coming through very well on 20m. This was the furthest DX contact I made during the evening, it was to be the second time I have had the pleasure of working Amado ZP8VAO from Paraguay. 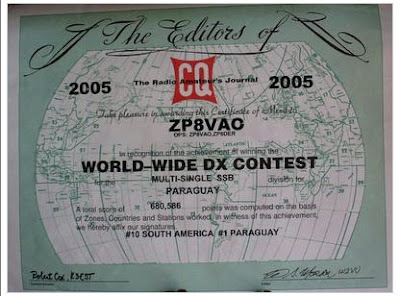 Amado was 5/5 and he said I was 5/7 in Paraguay which was a good report for the 50 watts I was running from the FT 847 through the Hustler 6BTV Vertical antenna, once again I was on 20m. I managed some good QSO on 10m and 6m earlier in the day working Spain, Italy and other English Stations. It is nice to get some good openings on the HF bands. 73 good DX and hope you get the chance to see the ISS pass by. Hi Folks, We have been playing Radio and looking at the Stars, Planets and Galaxies up in the very beautiful and historic Galloway area of Scotland. I would recommend this part of the World to you all if you get chance to visit! It offers beautiful scenery, lots of history, friendly people and for those of us who like operating HF, zero noise interference allowing many good QSOs. As far as Astronomy goes, Galloway boasts some of the darkest skies in the U.K making observations extremely interesting and easy to see other Galaxy's, Globular clusters, Meteors, orbiting Satellites and the International Space Station which I had the pleasure of viewing with the naked eye. Whilst operating I was 2M0HTS/m which is my call sign for Scotland. I find this a bit confusing?As intermediate licence holders we have to drop our County locator's prefix which in my case is 2E0 (England) replacing the E with M for Scotland becoming 2M0. This is kind of ridiculous as MM/2E0HTS would be less confusing, but I don't make up the rules I just try to bend them a bit. We arrived on Tuesday at the Galloway Astronomy Centre where we were greeted by Mike & Helen Alexander who where great hosts and very nice people. The Cottage was lovely and Mikes knowledge of Astronomy was fantastic. Helen made some terrific home cooked meals and they both looked after us very well. Thank you guys! During the Two Night stay we were able to observe many Stars and different Galaxies, Mikes Telescopes and observatory was amazing again his Knowledge of the Skies was second to non! Whilst staying at The Galloway Astronomy Centre Mike introduced Louise MM/M3TLL, Dudley our dog and myself to Ian and Nadine who are also Radio Amateurs. Their Call signs are GM3SEC Ian, and MM3YNW Nadine, They invited us over to their lovely home and We got the chance to tour their Ham Radio Station which was an impressive set up!. Ian GM3SEC is a technical writer for the RSGB Members magazine Radcom which I am a regular reader and member so it was a real pleasure to meet them both. One of the Antenna arrays at Ian & Nadines QTH. Ian was half way through constructing a vertical square four for use on 40M it looked quite impressive. As well as Operating our Radio, looking at the Stars, walking and touring, We were able to take in some of the many Historic views. Here is My YL Louise MM/M3TLL standing next to an Ancient Antenna system which would probably transmit energy from lay lines. The Ancient Standing Stones are called The Drumtrodden Stones, there are many stone circles, Castles, Forts and other Ancient and old interesting places to visit in the near by area well worth a visit. We managed a five Day stay which included two nights camping in Port William and have still not managed to see everything. In this view you can see the empty beach of Monreith and in the background is the Isle of Mann. Of course it is a Dogs Life, Here he is (Dudley) sunning his self at the beach near Glen Luce. The local Hams where extremely willing to make QSO on 2m not like back home where there is a distinct silence when I call CQ 2 Meters! I guess that the lack of mobile phone coverage in the area makes Ham Radio more appealing and there was no shortage of Hams and Antennas on My mobile journeys. I am looking forward to my return to Galloway. Ive been quite busy this week with a lot of driving it worked out well as I got the opportunity of playing radio /mobile, I have the choice of 4 bands with the antenna systems i have installed to my Toyota rav 4. 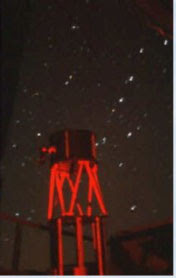 The picture above shows a Diamond 2m/70cm ANT, a 40m Maldol HFC40, and a 20M Maldol HFC20. This weeks QSO from the mobile have been made on 20m and 40m, the most of the time I was operating on 40m with some excellent results on my ft100 running 50 watts. I made contacts with Italy, Spain, Netherlands, Germany, Norway and Poland all on 40M and from the Mobile. I am once again impressed with the performance of the little Maldol HFC40 like its partner gripped to the back of my tail gate the HFC20, both of these antennas have been in use daily for over 2 years and are still in top shape providing an experience of pure joy and surprise with some of the distant Counties worked. I have one of the 80m Maldol HFC80 but I haven't managed to make QSO with anyone so I wouldn't recommend that one. The 15 meter comet can be installed quickly replacing one of the others, again this antenna has proved to be a good radiator. The Toyota roof has two large removable roof panels made from aluminium so I wouldn't be surprised if the Aluminium assists with my transmitted Waves helping them to radiate successfully from my Vehicle.